In the standard model (SM), lepton flavor violating (LFV) Higgs decay is absent at renormalizable level and thus it is a good probe to new physics. In this article we study a type of new physics that could lead to large LFV Higgs decay, i.e., a lepton-flavored dark matter (DM) model which is specified by a Majorana DM and scalar lepton mediators. Different from other similar models with similar setup, we introduce both left-handed and right-handed scalar leptons. They allow large LFV Higgs decay and thus may explain the tentative Br(h → τμ) ∼ 1% experimental results from the LHC. In particular, we find that the stringent bound from τ → μγ can be naturally evaded. One reason, among others, is a large chirality violation in the mediator sector. Aspects of relic density and especially radiative direct detection of the leptonic DM are also investigated, stressing the difference from previous lepton-flavored DM models. CMS collaboration, Search for Lepton-Flavour-Violating Decays of the Higgs Boson, Phys. Lett. B 749 (2015) 337 [arXiv:1502.07400] [INSPIRE]. ATLAS collaboration, Search for lepton-flavour-violating H → μτ decays of the Higgs boson with the ATLAS detector, JHEP 11 (2015) 211 [arXiv:1508.03372] [INSPIRE]. A. Zee, A theory of lepton number violation, neutrino Majorana mass and oscillation, Phys. Lett. B 93 (1980) 389 [Erratum ibid. B 95 (1980) 461] [INSPIRE]. F.J. Botella, G.C. Branco, M. Nebot and M.N. 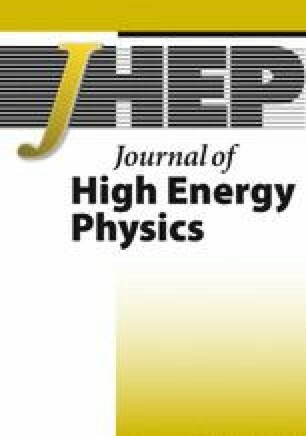 Rebelo, Flavour changing Higgs couplings in a class of two Higgs doublet models, arXiv:1508.05101 [INSPIRE]. L. de Lima, C.S. Machado, R.D. Matheus and L.A.F. do Prado, Higgs flavor violation as a signal to discriminate models, JHEP 11 (2015) 074 [arXiv:1501.06923] [INSPIRE]. X. Liu, L. Bian, X.-Q. Li and J. Shu, h → μτ, muon g − 2 and a possible interpretation of the Galactic Center γ ray excess, arXiv:1508.05716 [INSPIRE]. LUX collaboration, D.S. Akerib et al., First results from the LUX dark matter experiment at the Sanford Underground Research Facility, Phys. Rev. Lett. 112 (2014) 091303 [arXiv:1310.8214] [INSPIRE]. BaBar collaboration, B. Aubert et al., Searches for lepton flavor violation in the decays τ ± → e ± γ and τ ± → μ ± γ, Phys. Rev. Lett. 104 (2010) 021802 [arXiv:0908.2381] [INSPIRE]. T. Aushev et al., Physics at super B factory, arXiv:1002.5012 [INSPIRE]. MEG collaboration, J. Adam et al., New constraint on the existence of the μ + → e + γ decay, Phys. Rev. Lett. 110 (2013) 201801 [arXiv:1303.0754] [INSPIRE]. J. Guo, Z. Kang, J. Li and T. Li, Implications of Higgs sterility for the Higgs and stop sectors, arXiv:1308.3075 [INSPIRE].